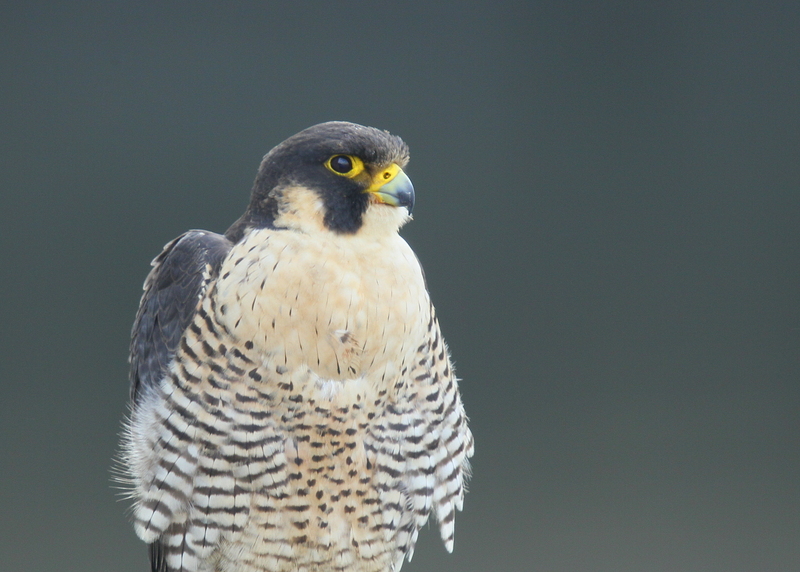 You are browsing the Blog for peregrine falcon haverhill chicks. 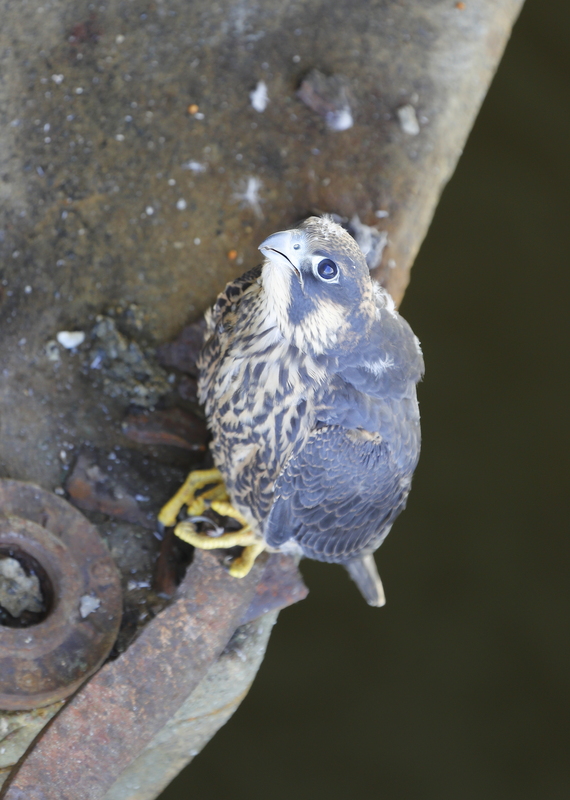 Just down the river in Haverhill, the other group of peregrine chicks are also ready to fledge. This is a view front he bridge looking straight down on one of the chicks. The last little bits of down feathers remain on the crown….so it is just about fledge time! For the most part, the female has been on watch near the nest as the chicks grow. The male is always nearby but at times almost out of sight. The pair sensed that some activity was going on near the nest and they perched together to better observe what was going on. A treat to see both together on the twisted piece of rebar sticking out front he bridge on west side. Note the smaller banded male and the larger unbanded female. 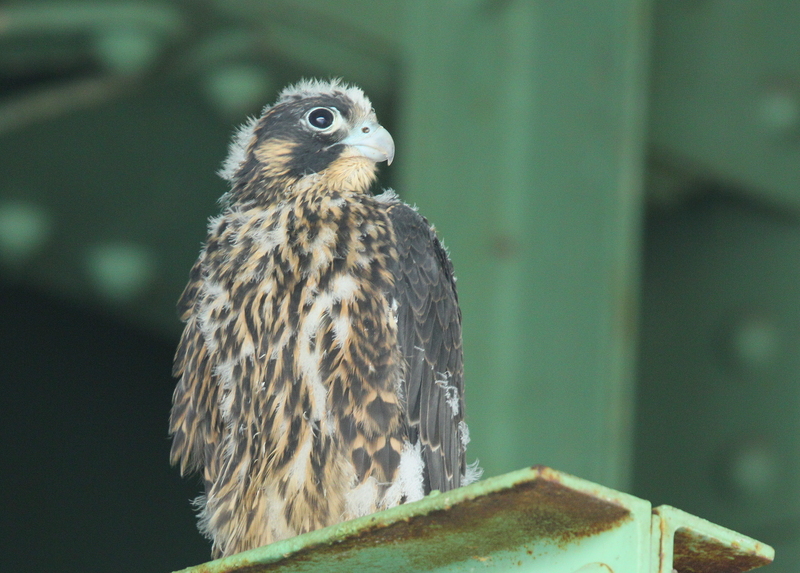 The staff at MassWildlife worked on coordinated plans with Mass DOT and local volunteers to arrange access to the 2016 Peregrine Falcon nest site in Haverhill for the purpose of banding this year’s chicks. After arrival, concern was expressed in regard to the age of the young peregrines and the uncertainty in regard to making a safe approach. 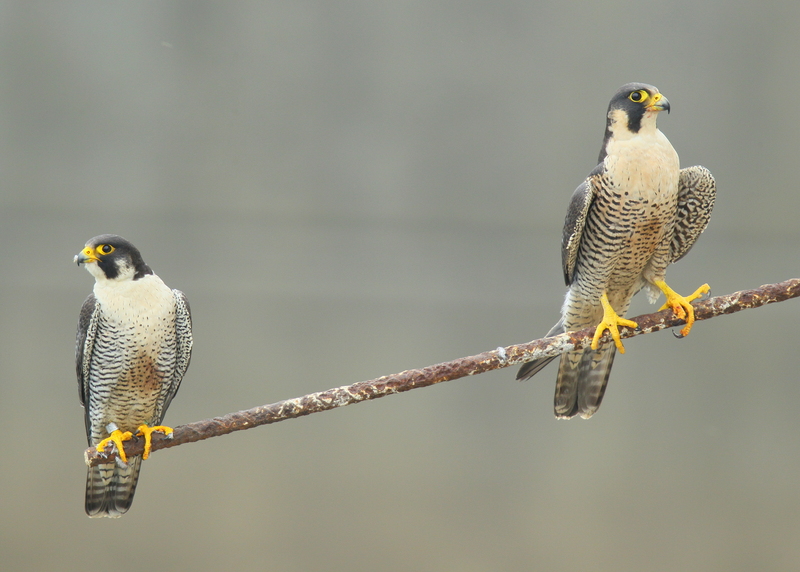 The risk centered on making an attempt to capture the falcons without causing them to accidentally fall into the Merrimack River below the bridge nest site. It was determined that the risk was greater than the benefit…..so no banding for this year. Had a nice look at one of the chicks from a kayak below the nest site. Looks to be almost 5 weeks old and almost ready to fledge! Click “next” upper right corner to advance frames! 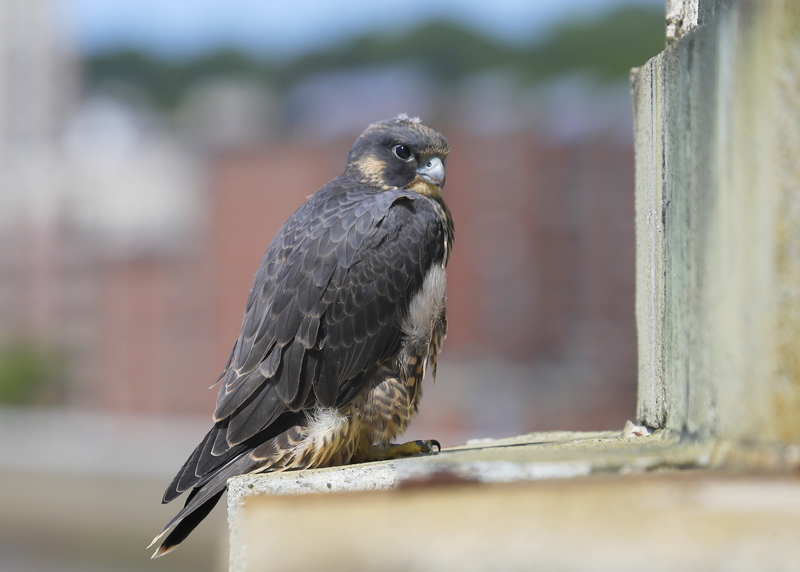 Breaking bird news on May 21st from Steve Mirick in Haverhill: “very rewarding search today as we finally found the new location for the nest for the Peregrine Falcons in Haverhill. It’s been a bit frustrating since they moved to a totally different nest ledge. UNDERNEATH A LOCAL BRIDGE! We’ve been suspecting that they might be under a bridge, but when we FINALLY saw TWO birds this morning, we were convinced and decided to search hard. We patiently waited and moved all around to different angles to search underneath, as the adults moved around, occasionally disappearing from view under the bridge. But persistence finally paid off! Great work Steve and Jane! 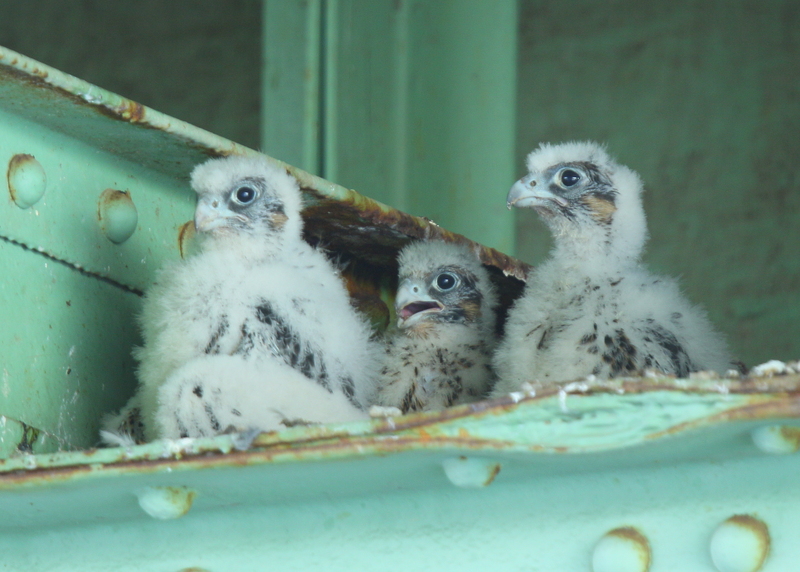 Made a pass by one of the bridges in Haverhill this morning in search of the newly discovered Peregrine Falcon nest with possibly 4 chicks. This nest has been relocated from the nest location of 2015. 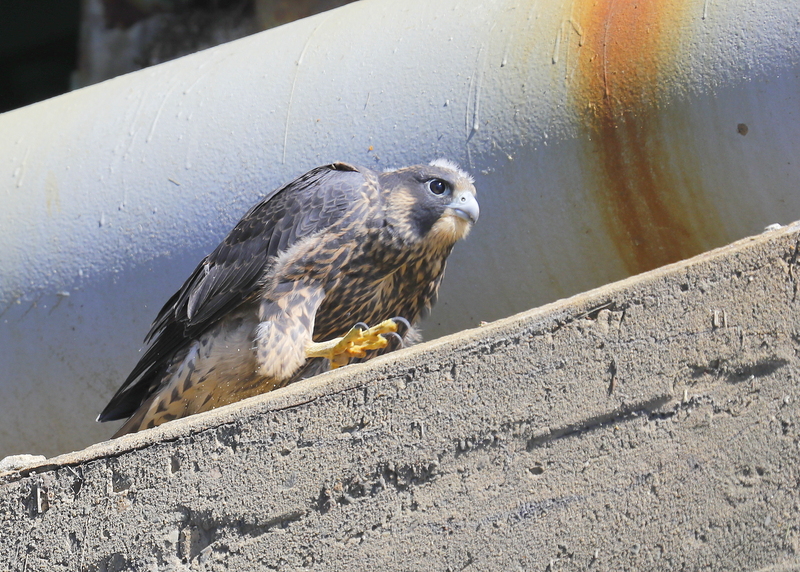 To my surprise the female was perched on a rebar perch over the Merrimack River and seen at very close range. As she was guarding her growing chicks, she seemed very reluctant to move her position, and that meant to keep back at a very safe distance!